*High impact ABS casing with rubber grip. *Self locking mechanism allows you to extend blade with an auto lock. 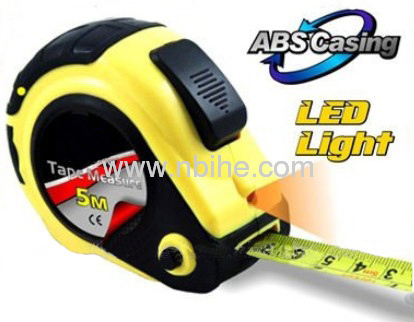 *Internal LED Light stored as tape measuring used at night. *A comfortable rubber grip round out a great all-purpose design. *Press LED light button for taking measurements in dark. *Self locking mechanism automatically locks in place and allows blade to be extended smoothly.